The Highways Term Maintenance Association (HTMA) has launched a major engagement initiative in advance of the Government's next Comprehensive Spending Review, which is expected to start in November. The spending review is likely to be fiercely contested with public finances still under pressure, adult social care costs mounting up and Brexit adding an extra dimension of uncertainty. 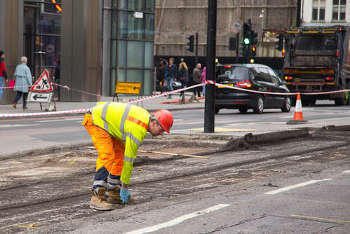 Highways understands that Department for Transport civil servants have started work to build up an evidence base for the business case for additional highways maintenance funding as part of spending review. The HTMA project, Britain’s Roads – Britain’s Future, is designed to draw on expertise and knowledge across the industry to build ‘the strongest possible case for sustained and coherent funding of the entire UK roads network, through the provision of reliable and robust evidence on the role played by well-maintained highways in supporting the economic, social and environmental well-being of the country’. The HTMA - which represents service providers that currently look after over 80% of the UK highways network - has issued a call for evidence from across the highways sector and beyond. The engagement project will run to the end of the year. Launching the initiative at the HTMA Annual General Meeting, incoming HTMA chair Peter McDermott, said: 'The forthcoming Comprehensive Spending Review will have the most significant influence on the investment in highways infrastructure over the next 10 years and with Government facing the challenges of health and social care expenditure demands, it is vital that the role played by well-maintained roads in the economic, social and environmental wellbeing of the country is not overlooked. Mr McDermott said that many of the groups the HTMA hope to hear from may not be directly connected with the roads industry 'but will have valuable input into building the case for sustained and coherent funding'. George Lee, chief executive of the HTMA, added: 'We are issuing a call for evidence and input from all organisations with an interest in highlighting, to the Treasury, the crucial role our highways play in our country and the importance that needs to be attached to improving the investment in and management of our country’s single greatest asset. Any organisation that believes it has evidence to support the case for investment in the roads network is welcome to contact HTMA directly at spendingreview@htma.info.